This year, in our quest to step up and be our best selves, we wanted to learn from truly remarkable women, to see if they have a mantra they live their life by, and to understand what drives them. We are very excited to talk to Mel Wells for our series of talks with truly inspiring women. Mel is a bestselling author, TEDx speaker, and health and eating psychology coach. We have recently collaborated with Mel on two Mantra necklaces, which have just launched. Mel helps women transform their relationship with food and themselves, to become the best version of themselves possible. Mel dedicates her time to helping women worldwide ditch the dieting for good, make peace with food, and love themselves. She coaches women via her books, her online academy, and luxury Goddess Retreats all over the world. Originally, Mel was an actress, best known for her part in Hollyoaks. After healing her own battles with eating disorders, Mel used this as a catalyst to completely change the course of her life. Mel’s first book, ‘The Goddess Revolution’, helped women all over the world readdress their relationship with food, and with themselves; and go on to create truly fulfilling, enriched lives, falling in love with themselves more than they thought possible. Her new book, ‘Hungry for More’, launched last month, and is a call to those who want to go deeper into those hidden messages around food and cravings, and in doing so, unlock a gateway to limitless personal and spiritual growth. So – I was very keen to find out from Mel if she has a mantra for her life; and what motivates her. Yes, it’s a quote from Joan of Arc - “I am not afraid. I was born to do this”. My parents have always led me to believe that, with hard work, determination and self-belief, I can do anything I want. I value growth, so am always pushing myself to get out of my comfort zone! Extremely. It is important to surround yourself with people you look up to and are inspired by. Honestly?! Geri Halliwell mainly - I was obsessed! Tony Robbins, Gabrielle Bernstein, Marianne Williamson, Marie Forleo. We have picked the Mantra necklace that best represents what inspires and motivates Mel. 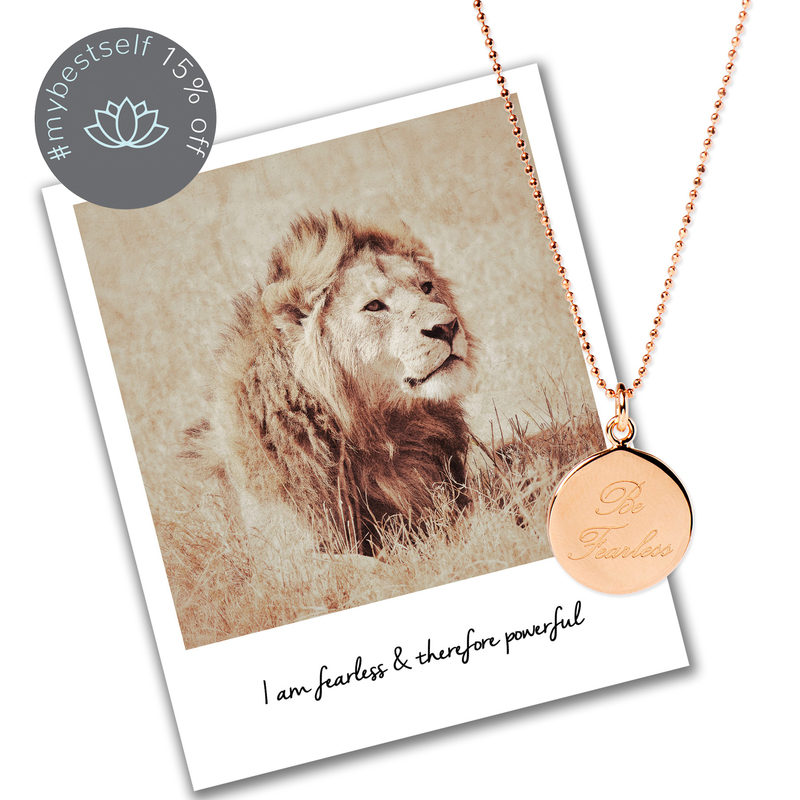 We have chosen, ‘Be Fearless’, which has the mantra, ‘I am fearless and therefore powerful’, which captures the spirit of Mel’s favourite quote. This month, buy 'Be Fearless' at 15% off.